Somewhat disappointed this ship wasn't addressed. While Dorsal Turret received a slight decrease in points (4 to 2), Barrage Rockets took a larger points increase (3 to 7). Barrage Rockets went 6 to 7, not 3 to 7. Both turrets' cost going down by 2 helps though. If you equip both, it's a net -1 cost to all Aggressors compared to what it used to be. My mistake, I probably "translated" the 6 down to 3 in first edition terms and got confused. Gunner and Turret got a discount ! That far enough ! A specialist with ion and veteran gunner is 40 pts. I wanted them to get some love, too. However, the lowest I ship is the same cost as the lowest bomber; this was done on purpose. The bomber and the aggressor are both really good carriers of the barrage rocket upgrade. I still think that slapping a doresel turret and a copy of barrage rockets on to a cheap aggressor is a good use of points. So, I worked out the math and the agressor was actually pretty close to correct, at most a point off. The real problem was how undercosted TIE Bombers were. And, as mentioned, they at least picked up a cheap turret option. This. Given that the main bugbear with their cost was how much better a TIE bomber was, making the TIE bomber a closer match in cost makes the aggressor look...well...."less awful". I think people don't give Ion Cannon Turret enough credit. It's even better now that they are cheaper. Ionize something and then get some Tie Fighters at range 1 for some extra firepower. Lt. Kestal is fantastic with ICT. She can tag aces and such with an ion token, which is amazing. Vader will still Afterburners>>>BR, or even Advanced Sensors into a bump, so he might still dodge. The Inky's have Fenn Rau repositioning so might be able to dodge. Rey can still slug damage with the hull to spare. Assaj is now relevant, and the damage will allow hate to charge her ability. Kylo can still take SNR viably. The Jedi will get easy access to double repositioning. I'm not denying what you say. Indeed, I am certain Sniper mode will activate! But we still we need to work with killboxes, firing arc nets, blocking, and cornering to execute Order 66! I'm looking at it's 2/2/4/1 statline and it's still looking sad though. At an equal 30 points the TIE Bomber has more health, slightly better dial and a unique ship ability. The Y-wing with 2/1/6/2 is only one point more. Yes it has a worse dial, but the drop to 1 agility means that Shield/Hull Upgrade is cheaper for them, on top of the 3 additional health. "During the development of the TIE agressor, Sienar Fleet Systems valued performance and versatility over raw cost efficiency." 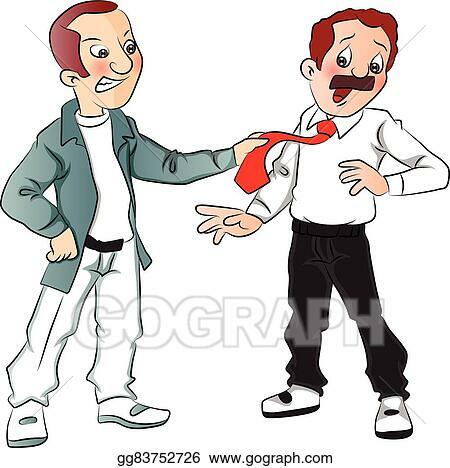 I believe the guy on the left is a tie aggressor. It is a joke compared to both the bomber and the y-wing. You have to roll an evade result with that extra die three times to break even with the y-wing! And they just made barrage rockets more expensive for the aggressor! This can only mean one thing. If FFG doesn't completely forget about the Empire for wave 5, then we're getting this useless thing. If they remember the ship exists, they might have been keeping 6 with ion turrets off the table. Which makes sense, honestly. That does not sound super fun to fly against. they might have been keeping 6 with ion turrets off the table. Well... you can already fly 5 with Ion Turrets plus Wampa, which really isn't much different is it? A double tapping Aggressor comes in at 40; running a pair with some other ships seems like a good combo, no? If you own 6 Aggressors you've earned it. Wow, that’s someone who has it bad... ugggggg. Compared to the Y, the Ag has a better dial (same moves but 3 less reds and 1 more blue), BR -> Red Evade instead of red BR, and the base is 40 with VTG/Ion compared to 41 for a Grey, allowing an extra primary shot in the 5x list. Ag is almost as durable if it uses 1 evade and more if it uses 2. Y still probably has the edge though due to more of its HP being shield, but it would be a close match-up. The 5x Yion list is a monster though, I'd guess 5x VTG/Ion Ags would do well in a tourney. Giving the Aggressor a sensor slot would help a lot, as fcs would go a long way into making them more dangerous. And them using Advanced Sensors or Collision Detector wouldn't be over the top in capability either.